Stephen Yarwood, Urban Futurist and former Lord Mayor of Adelaide, is one of the keynote speakers at our upcoming Professional Learning Conference. 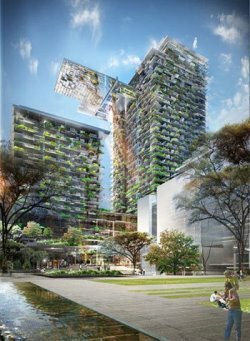 Earlier this year Stephen founded, ‘city2050’, a company that, in part, assists cities, communities and corporations to implement more productive, liveable and sustainable systems. Find out about Stephen’s unique views on professional development when he presents ‘Professional Learning: Another Dimension’ at the conference on Friday 5 June. Click here for details. Emerging Technologies and the law – what does it mean for educators? Presented by Luke Dale, Partner, HWL Ebsworth Lawyers, Adelaide. 18 Holden Street, Kensington Park. Find out more here. If this is relevant to your professional context and you can reference it to the APST this can be used as part of your professional learning. If this is relevant to your professional context, the conference can be used as part of your professional learning if referenced to the APST. Thursday 28 & Friday 29th May at the Education Development Centre, Hindmarsh, SA. Find out more here.